Keren Elazari is an internationally acclaimed security researcher, author and strategic analyst, with years of experience in the international cyber security industry. Since 2000, Keren has worked with leading Israeli security firms, government organizations, Big 4 firms, advised Fortune 500 and groundbreaking startup companies, helping global organizations navigate complex cyber security issues. 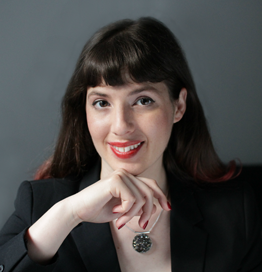 Elazari’s independent research work and writing about emerging security issues has been featured by Scientific American, WIRED, and she is a frequent speaker and commentator in international events and in the media. Ms. Elazari holds an MA in Security Studies from the prestigious Security & Technology workshop at Tel Aviv University – where she is a senior researcher with the Balvatnik Interdisciplinary Cyber Research Center , focusing on the complex relationships between hackers, industry and government. Elazari is also a visiting faculty member with Singularity University, a private future-forward think tank. In 2014, Keren became the first Israeli woman to speak at the annual TED conference. Keren’s TED talk has been viewed by millions online, translated to 30 languages and selected for TED’s list of ‘Most Powerful Ideas in 2014’ and Inc.com’s list of ‘Top TED Talks of 2014’. Her collaborative book with 8 leading women, Women in Tech, was published by Penguin USA in March 2016 and became an Amazon bestseller. In 2016, Keren founded Israel’s largest security community event, BSidesTLV, part of the global SecurityBSides movement. In July 2017, Keren was selected by Forbes as one of Israel’s “most influential women” and featured on the cover of Forbes Israel.